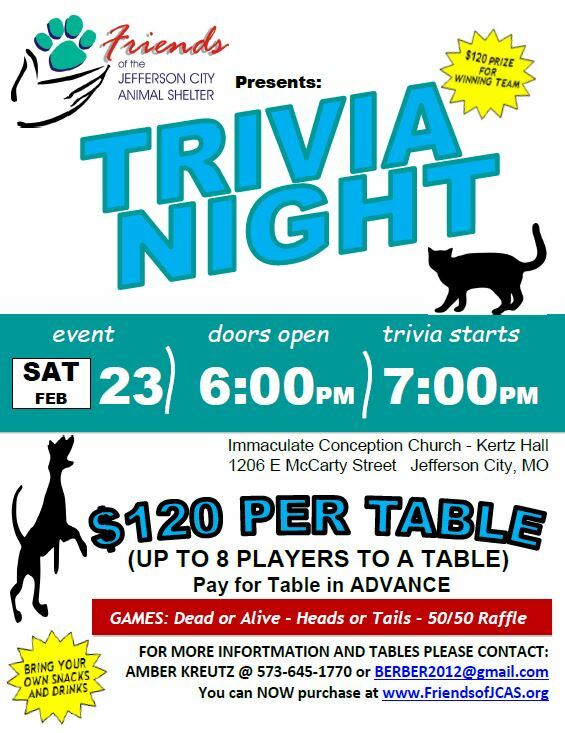 Saturday, February 23 is Trivia Night 2019! Bring your own drinks and snacks! We will also have soda and water available for purchase. Event details are listed on the flier below. We hope to see you there!